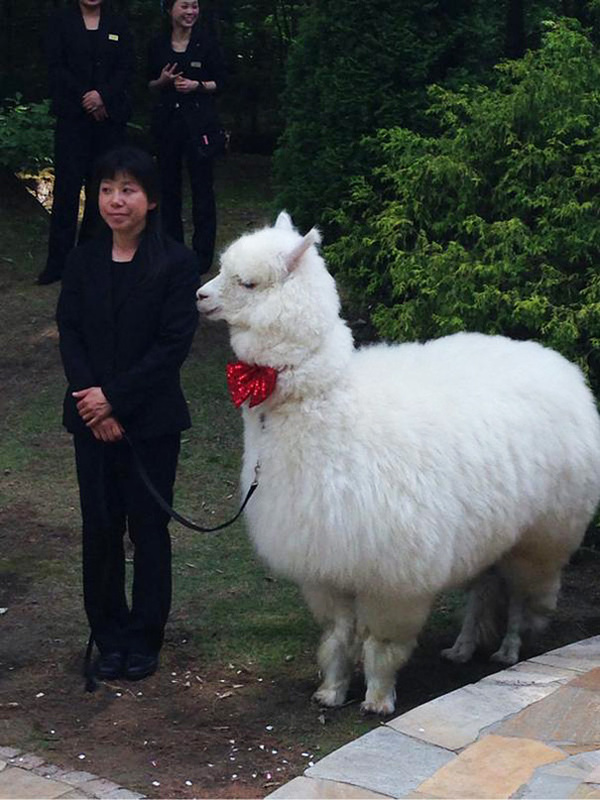 An alpaca can act as the witness at your wedding in Japan. 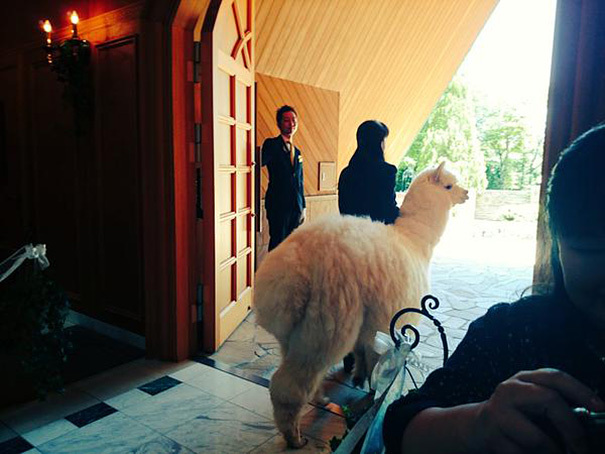 While the origins of this ritual are unknown, Hotel Epinard Nasu in Tochigi Prefecture is drawing attention by offering this curious service. 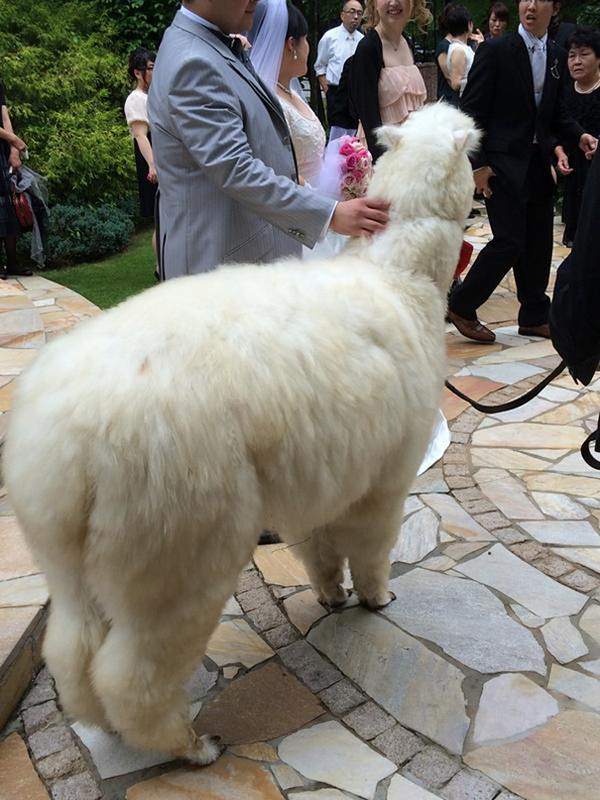 The alpacas come from a neighboring zoo, and are also made available for photos after the ceremonies. 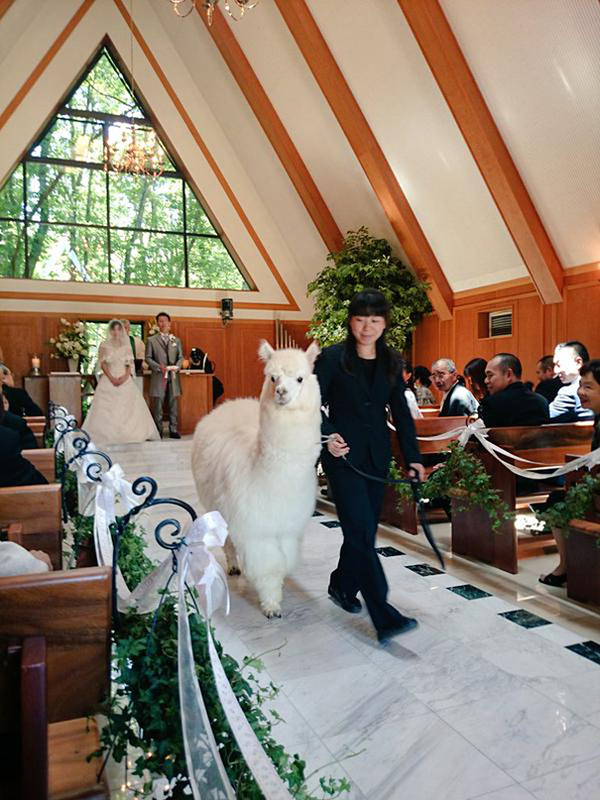 Modern weddings in Japan can be quite formal, although this only became common at the end of the 19th and beginning of the 20th century. 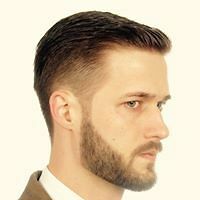 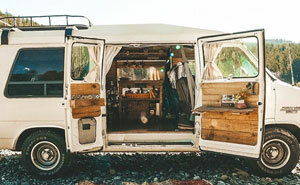 Previously, a man and a woman would be “married” after the man simply took to regularly visiting the woman. 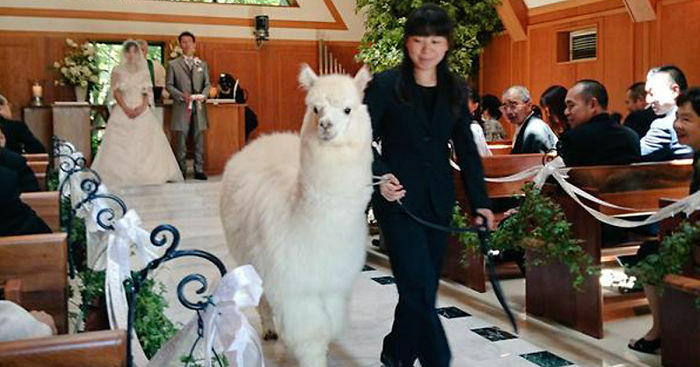 Unusual weddings such as those featuring alpacas might be reactions to current, formal traditions.